The Borders Railway has been described as a “phenomenal success” as new figures, released on its third anniversary, reveal that more than four million journeys have been made on it since 2015. 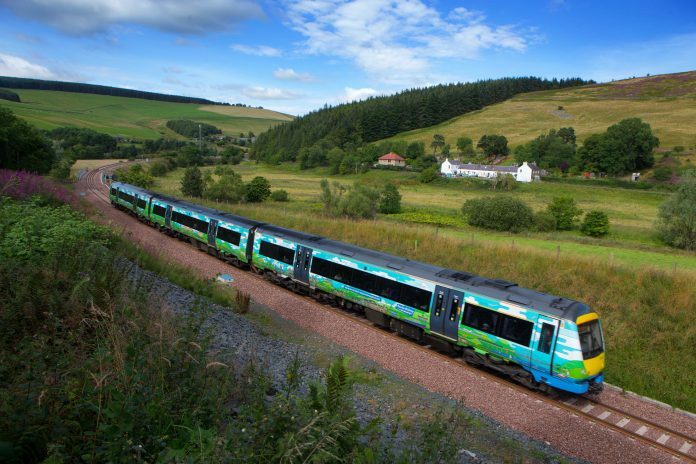 The popularity of the 30-mile stretch of track linking Edinburgh with the Scottish Borders has led to year-on-year increases in passenger numbers, with a further 5.8 per cent boost to numbers achieved this year; an impressive 1.5 million journeys in total. Michael Matheson, cabinet secretary for transport, infrastructure and connectivity, said: “The Borders Railway has been a phenomenal success as it continues to grow in both popularity and bringing benefits to the local economy. “The ongoing increase in passenger numbers since it opened three years ago demonstrates it is acting as a catalyst for investment while opening up employment, leisure and education opportunities for communities along its length. As the longest new line built in the UK for over a century, the iconic route takes customers between Tweedbank and Edinburgh in less than an hour, with a half hourly service for most of the day. The project included seven new stations – Shawfair, Eskbank, Newtongrange, Gorebridge, Stow, Galashiels and Tweedbank. Since its official opening by the Queen in 2015, the line has had a significant economic and social impact on the area. The post Borders Railway: More than 4 million journeys in 3 years appeared first on RailStaff.